We are delighted to announce that Employment Co-Head and Partner Kim Boreham will be speaking on a panel co-hosted by the American Chamber of Commerce in Hong Kong’s Women of Influence committee and Women in Sports Empowered HK. Titled “From the athletic field to the business world: Getting to the top with an athletic mind-set”, the discussion will explore the link between sports and the business world. Kim’s co-panelists are Tobey Hill, Group Head of Tax at CLSA and Greg Brutus, Regional Director of PR for Asia-Pacific AT&T. Camille Cheng, a Hong Kong representative athlete for swimming, will moderate. The panel will be held in the evening on Wednesday 27 February; tickets are available at this link. Kim is a Partner and co-head of the employment department at Hong Kong law firm Tanner De Witt and currently sits on the Board of the HKRU as Director of Women’s Rugby. 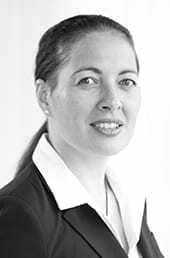 Having been admitted as a barrister and solicitor of the High Court of New Zealand in 1997, Kim moved to Hong Kong in 2000 where she learnt to play rugby. She has been actively involved in the rugby community since then and represented Hong Kong twice internationally. She was the Chairwoman of Valley RFC from 2012 to 2014 and has been a member of the HKRU Disciplinary Panel since 2007, the ARFU Judicial Panel since 2011 and the World Rugby Judicial Panel since 2013. As a Partner at Hong Kong law firm Tanner De Witt Kim regularly advises employers and employees on both contentious and non-contentious employment matters and has represented both plaintiffs and defendants in High Court actions involving enforcement of restrictive covenants and claims for injunctive relief in Hong Kong. Kim is consistently ranked as a Leading Lawyer for employment law in Hong Kong by various leading publications including Chambers Asia and Asia Pacific Legal 500. Kim is listed as a Leading Lawyer for Labour & Employment in the 2018 Edition of Asialaw Leading Lawyers.